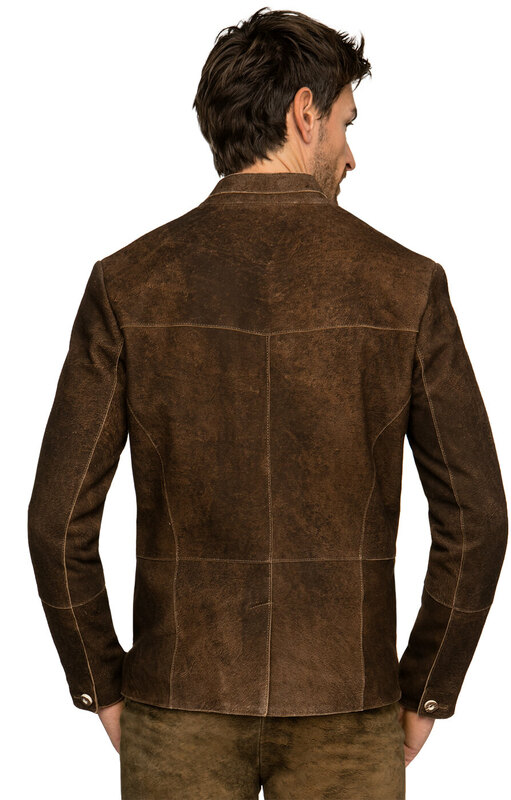 Watzman men’s brown leather jacket. 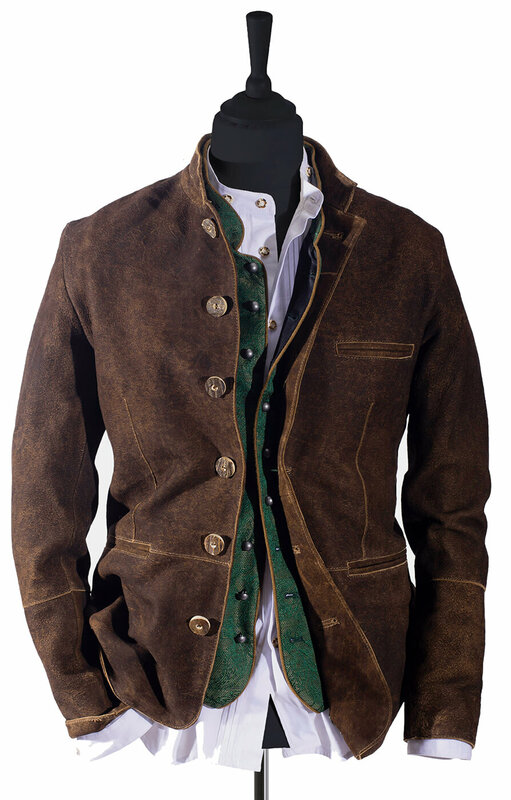 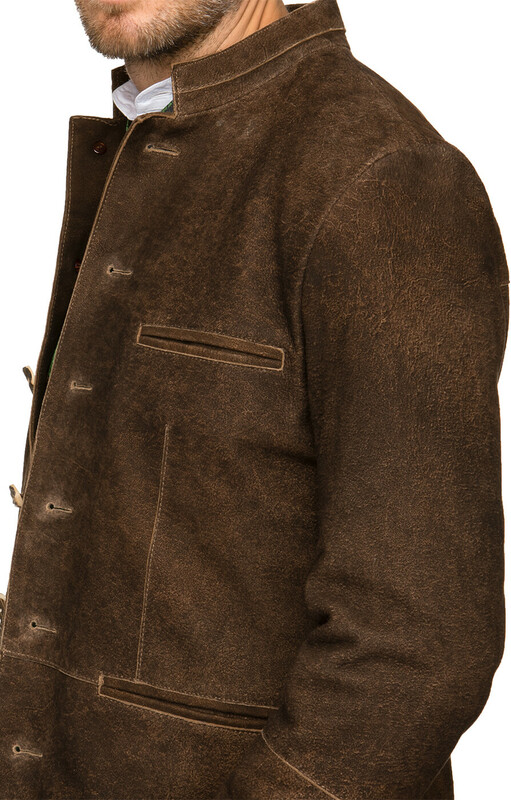 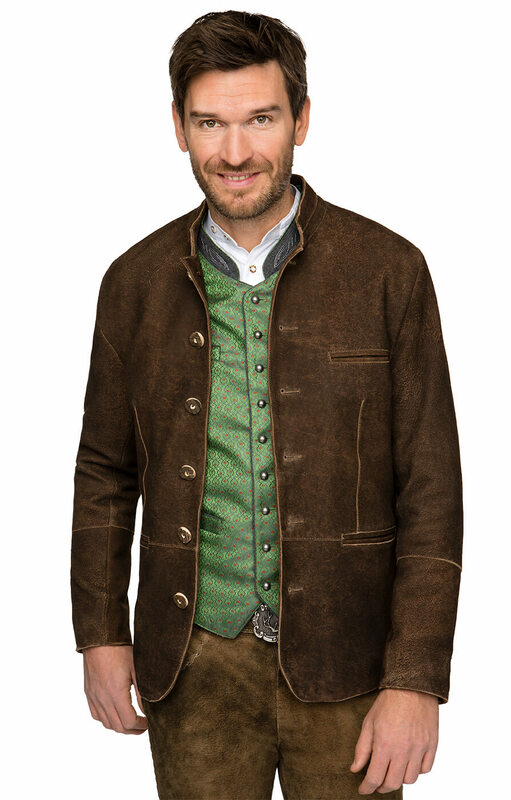 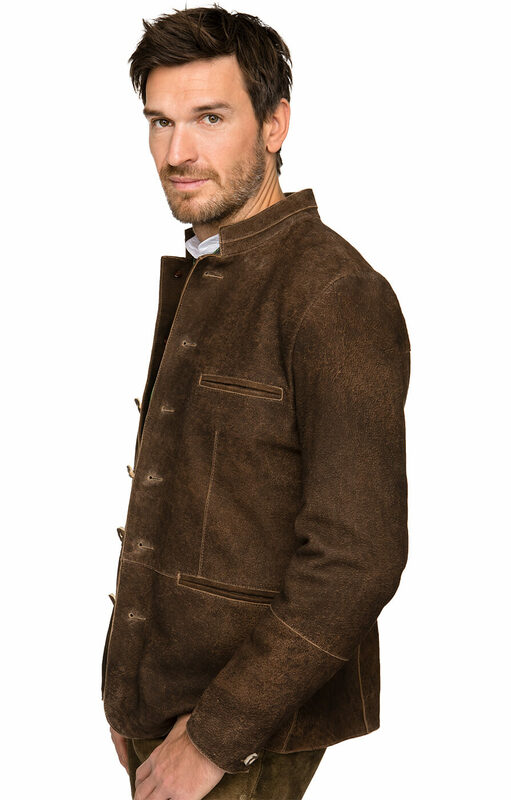 The chocolate-brown 100% leather of this impressive jacket has been weathered slightly to make it the ideal Oktoberfest garment. 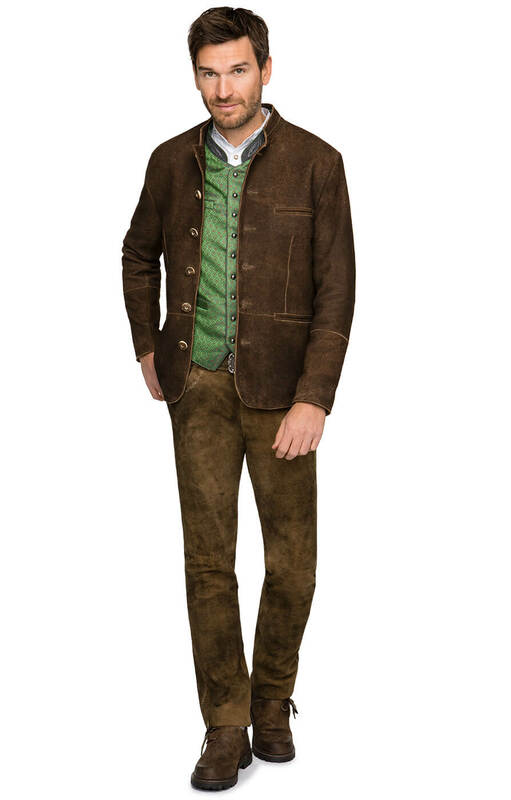 The horn buttons running down the front and the addition of a breast pocket in the same fashion as the hip pockets perfectly reflects Bavaria's Trachten fashion, while the high collar flows into shallow lapels.